The National Working Committee of the Peoples Democratic Party has called an emergency national caucus meeting of the party. Named the ‘Expanded Caucus Meeting’, the party is expected to use the occasion to get the support of its members to seek redress in court over the outcome of the presidential election. The meeting, which will at the party secretariat in Abuja on Monday (today), will be presided over by the PDP National Chairman, Uche Secondus. Secondus, though confirmed the meeting in an interview with one of our correspondents, refused to give details of its agenda. However, inside sources said the NWC would brief the members about the outcome of the presidential and National Assembly elections. It is also expected to deliberate on the forthcoming governorship and state Houses of Assembly elections scheduled for March 9. A source close to the party said, “We will deliberate on what happened on February 23 across the country and also hear from our agents. “We will also expect our presidential candidate, Alhaji Atiku Abubakar, to brief us. The party will back him on his decision to challenge President Muhammadu Buhari and the All Progressives Congress in court over the outcome of the rigged election. Meanwhile, the lawyer leading Atiku’s legal team to the Presidential Election Petitions Tribunal, Mr Livy Uzoukwu (SAN), said on Sunday that work had begun on the PDP presidential candidate’s petition and would be filed as soon as possible. Asked by The PUNCH when the petition was likely to be filed, Uzouwku said, “All I can tell you for now is that we are already working on it and we would file it as soon as it is ready. He noted that his client was still within the timeline to file the petition as the law gives an election petitioner 21 days from the day of the declaration of the results to file his or her complaints before the tribunal. The presidential election held on February 23 but the result was not declared until February 27. This implies that Atiku has until March 20 to file his petition. From Monday (today), he has roughly 16 days to file it. The PDP has, however, said it will shock President Buhari and the ruling APC with what it called “shocking revelations” at the tribunal. It said that its decision to challenge President Buhari’s victory at the tribunal was taken in the interest of the nation and not that the former ruling party was embarking on what it called an academic exercise. Secondus, who spoke with one of our correspondents, asked Nigerians to be patient, adding that the team of lawyers put together by the party and Atiku were already working hard to file their papers at the tribunal. He said the PDP and Atiku would have conceded defeat if President Buhari had won the February 23 presidential election fair and square. 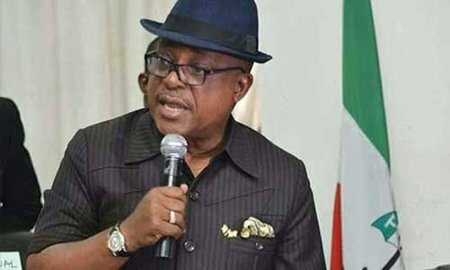 Secondus insisted that the PDP and Atiku were robbed of their victory by the APC, which he alleged, was aided by the military and the officials of the Independent National Electoral Commission. Secondus said, “We will shock both Buhari and the APC at the Presidential Election Petitions Tribunal with facts and figures. We will also show videos and other ways through which the APC, INEC and the military collaborated to rig the election. “The world and the entire country will see the details of what happened. We will reveal what they never believed we saw. “No need to take issue with them. They (APC) claimed that they have evidence of fraud allegedly committed by the PDP as well. We will wait for them to come up with their lies. Meanwhile, INEC has promised not to take sides in the expected legal battle, saying that it will make documents available to all parties if called upon to do so. But the commission also said that it would defend its actions during the elections. The INEC National Commissioner and chairman of its Information and Voter Education Committee, Mr Festus Okoye, stated this in an interview with one of our correspondents. Asked how prepared the commission was concerning the plan by Atiku and the PDP to go to court, he said the commission was not a political party and would not take a partisan posture in relation to the election petitions tribunal. 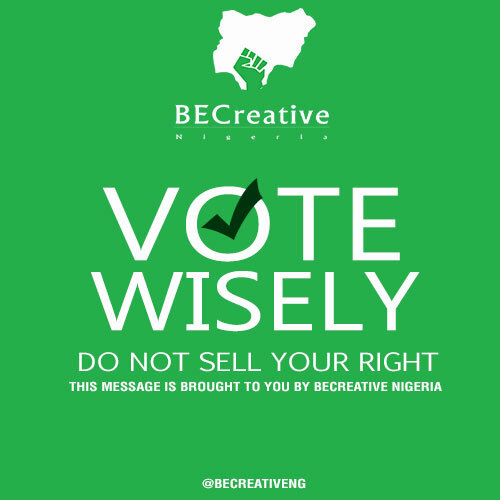 Okoye said, “The Independent National Electoral Commission is empowered to organise, conduct and supervise elections. The commission is not a political party and does not take a partisan posture in relation to election petitions. “The commission is the regulator of political parties and the law and the constitution has delineated the jurisdiction of election petitions tribunal and the conditions for activating its jurisdiction. “The commission conducted the Presidential and National Assembly elections on the February 23, 2019 and the Chief Electoral Commissioner of Nigeria and the Returning Officer for the Presidential election, Prof. Mahmood Yakubu, declared the incumbent President as the winner of the election and declared him as duly elected. “The commission organised a relatively peaceful election and complied substantially with the intendment of the constitution and the law. “However, it is the constitutional and statutory right of every aggrieved candidate to approach either the National and state Houses of Assembly Election Petitions Tribunal which has the original and exclusive jurisdiction to determine whether any person was validly elected to the National Assembly or the Court of Appeal which has original jurisdiction to hear and determine any question as to whether any person has been validly elected to the office of the President or Vice-President under the constitution. “INEC will defend the outcome of the election it conducted if it is served with processes from the tribunals or the Court of Appeal. “The commission will make available all documents used in the conduct of elections to petitioners and respondents if the proper application is made and the processes and procedure for the application are followed. Okoye added that the commission must purge the smart card readers and reconfigure them for the conduct of the governorship and state Houses of Assembly elections. This, he said, would not affect any petition by either political parties or individuals before the tribunal. He said, “What petitioners need are the data from the smart card readers which will be available to petitioners and respondents. “Petitioners and respondents are assured that the commission will be professional and ethical in the handling of election petitions. In a related development, a principal officer of the Senate has disagreed with Senator Kabiru Gaya over the latter’s declaration that the upper chamber of the National Assembly will investigate the postponement of the February 16 Presidential and National Assembly elections by INEC.